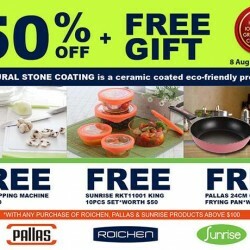 Check out these exclusive Pallas, Roichen & Sunrise deals at Home-Fix @ Great World City outlets only! Enjoy 50% off AND free gifts when you make a purchase! 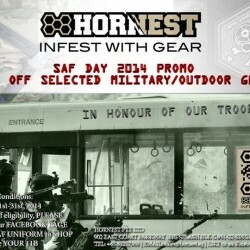 In honour of our national servicemen and women, in conjunction with Singapore Arm Force (SAF), Hornest is giving us 15% off on selected military/outdoor gear this SAF day!